World of Warcraft is now officially ten years old, if you can believe it. If you started playing the game as a toddler, you're now entering your teenage years, teenage players are now working twenty-somethings, and college players are settling down and getting married. Crazy, right? To celebrate, we threw together this list of ten infamous World of Warcraft moments. 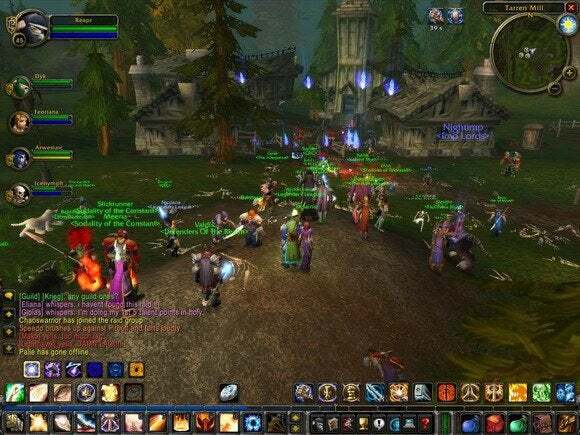 Before battlegrounds gave some semblance of structure to World of Warcraft's player versus player combat, there was the infinite battle between the Alliance town of Southshore and the Horde town of Tarren Mill. Those two areas were basically inaccessible, as there was a round-the-clock tug of war going on between the two factions as to who controlled both towns. The Horde might capture Southshore only to lose Tarren Mill and vice versa, forever and ever. The battles got so heated at times that entire servers crashed under the strain. The classic fight was resurrected recently for World of Warcraft's ten-year anniversary event, with a battleground designed to mimic the Southshore versus Tarren Mill struggle—except there's an eventual end to the battle this time around, as players fight to score points for their team. It's arguably the most famous singular moment in World of Warcraft history: A team of players are laying out detailed tactics prior to entering a battle when one member breaks ranks, screams his own name out, runs into a cave and gets killed. And then everyone else gets killed too. Alas, rumor has it the whole thing was staged. Regardless, that didn't stop the video from going viral when "viral video" was barely even a thing, and Mr. Jenkins lives on as both an NPC in World of Warcraft and a card in Hearthstone. It was intended to be temporary—a spell called Corrupted Blood that would rapidly drain hit points and could spread to (infect) nearby players, but only in the confines of a specific raid zone set up by Blizzard. The problem? Player's pets and minions could unintentionally carry the disease outside the confines of said raid zone and into World of Warcraft at large. Entire urban areas were left empty as the epidemic spread, leaving masses of bodies in the streets as survivors fled to the relative safety of the countryside. Blizzard scrambled to set up quarantine zones while players of ill-repute deliberately infected other users and NPCs—the latter being particularly devious as they were immune to the disease but could still spread it to players. The event was so disastrous it eventually resulted in Blizzard hard-resetting the servers in order to stem the problem, though in the run-up to 2008's Wrath of the Lich King expansion Blizzard ran a controlled epidemic that spread much the same way. The upshot is that the Corrupted Blood Incident, as it's come to be known, mimicked real-life diseases so well it's been used as an actual model for epidemic research in years since. It was supposed to be the biggest moment in all of the original World of Warcraft—the massive Gates of Ahn'Qiraj would open, a massive enemy force would pour out, and both Alliance and Horde factions would have to team up to defend Azeroth. The event was hyped for months, with players fulfilling an enormous number of goals required to open the gates. Even with all its problems, the day the gates opened is still considered by World of Warcraft players to be one of (if not the) most epic events in the game's ten-year history, with nothing else approaching the same sense of scale. It started off well—an avid World of Warcraft player died of a stroke in real life, and her online friends decided to honor her with an in-game funeral. A time was set, a location was agreed upon, and the woman's friends met up to say their farewells. Then, because the Internet is the Internet, things went off the rails. Hearing about a Horde-faction funeral, Alliance guild Serenity Now decided to crash the event and slaughter all the attendees, most of whom weren't even wearing armor. It's still a controversial event in Internet spaces, with some arguing that Serenity Now never broke "the rules" while others argue that said actions fell outside the realm of human decency. Me? I think the fact that we can even have that sort of discussion about a virtual world is pretty incredible. You knew World of Warcraft had crossed into the mainstream when it cropped up on South Park. 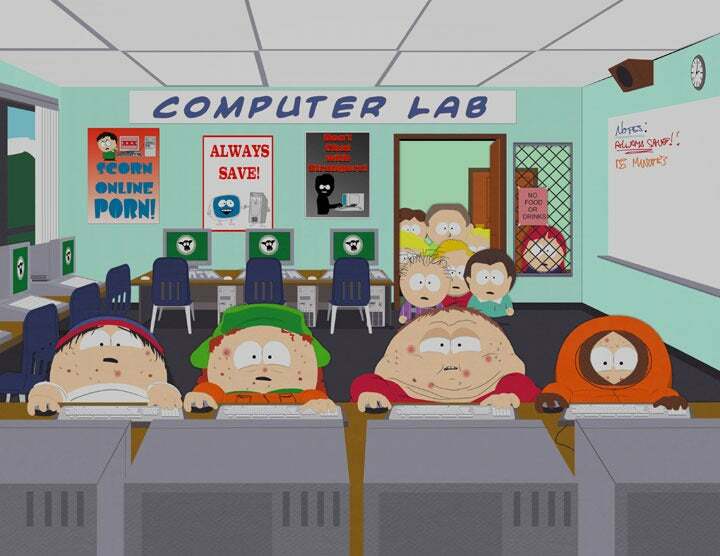 In Season 10, Episode 8 (" Make Love, Not Warcraft") lampooned the MMO, with Cartman, Stan, Kyle, and Kenny getting addicted to the game in order to kill off a high-level griefer. Blizzard actually collaborated on the project, helping the team at South Park create the extensive machinima sequences that were a hallmark of the episode. The episode was also briefly memorialized in-game, with South Park's fictional "Sword of a Thousand Truths" handed out to certain Burning Crusade beta testers. On the more uplifting side of World of Warcraft TV there was the long-running web series The Guild. While the characters in The Guild played a fictional MMO known only as "The Game," the parallels to World of Warcraft were clear. Blizzard's particularly good about in-game memorials, with this year's Robin Williams tributes garnering a lot of attention. One of the most well-known, however, is Ahab Wheathoof. Ahab, a level 62 Tauren, is a farmer who merely wants his dog back. 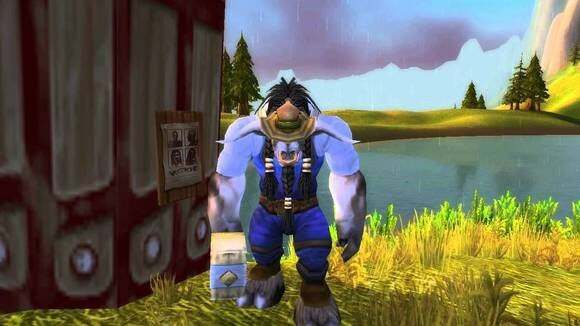 The distraught farmer and his quest were both designed with the help of Ezra Chatterton, who while suffering from brain cancer was able to visit Blizzard's offices through the Make-a-Wish Foundation. Chatterton even voiced Ahab and created the Merciless Gladiator's Crossbow of the Phoenix before passing away in 2008. There's also another tauren, Ezra Wheathoof, in Thunder Bluff in Chatterton's memory. One of the most lasting effects of World of Warcraft isn't even part of the game—it's the fact that there's a company called "Activision Blizzard." In fact, when Blizzard's parent company Vivendi merged with Activision in 2008 Blizzard was the only Vivendi subsidiary that survived the buyout intact. There's no doubt that was largely on the back of World of Warcraft, which even at that point was a gaming juggernaut with over 10 million subscribers—not too shy of the game's 12 million subscriber peak in 2010. If you spend a lot of time on the Internet, you know that its tendency towards anonymity is both its greatest strength and (occasionally) a horrific nightmare. In 2010, shortly before the Cataclysm expansion, Blizzard decided it wanted to cut down on the amount of harassment (hopefully) by requiring users to register on the forums with their real names. The backlash was predictably fierce. One Blizzard employee then tried to prove the situation wasn't that bad by posting his real name, only for forum users to dig up and post his home address, phone number, and other identifying information a few minutes later. Needless to say the plan was scrapped. Keeping a game fresh for ten years isn't easy—it requires constant updates and content refreshes. Blizzard's become a machine in that respect over the last decade, with five major expansions and tons of smaller updates. But the most impressive (and controversial) content refresh by far was 2010's Cataclysm expansion. 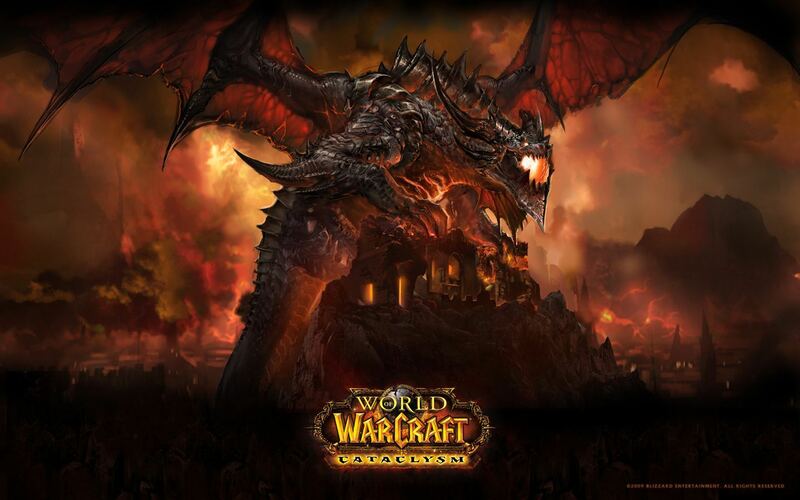 The plot involved Warcraft II's Deathwing the Destroyer returning to Azeroth through an enormous tear in the fabric of the dimension, causing a disaster that reshaped the entire world. Of course, that was the in-game reason. The meta-effects of the expansion saw many of the original zones from 2004 World of Warcraft updated into more modern, streamlined experiences. Old quests were scrapped, new quests were added, and those starter zones became very different than their vanilla incarnations. Necessary? Probably, but you'll still find players out there that swear by original World of Warcraft. 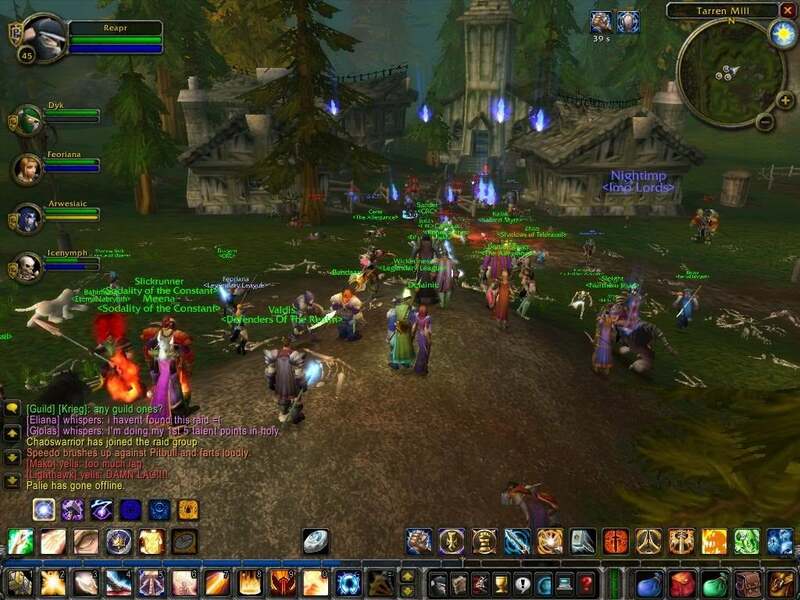 Either way, Cataclysm also marked World of Warcraft's peak—shortly after the expansion's release the game hit its maximum subscriber base of 12 million. It seemed poetic to end with World of Warcraft's peak. 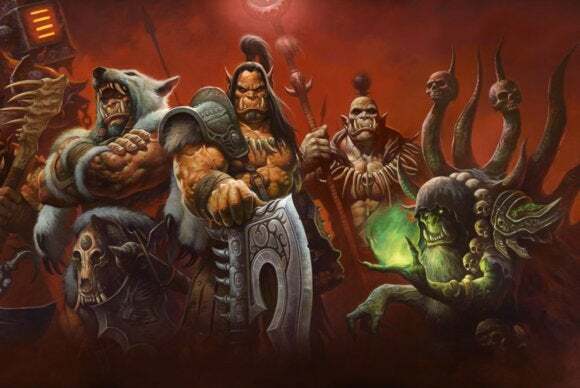 While Mists of Pandaria and (to a larger extent) Warlords of Draenor have both rekindled love for the MMO, it definitely hasn't had as big of a cultural penetration in the last few years. But that's not to say the game is dead—far from it. In fact, in the wake of Warlords of Draenor's release last week the game jumped back up to 10 million subscribers. That's incredibly impressive for a decade-old game, and especially for an MMO that still charges a monthly subscription in the age of free-to-play. Blizzard's also done a good job feeding on that nostalgia, resurrecting not just the Tarren Mill/Southshore feud but the original Molten Core raid content (scaled now to high-level players). Blizzard thinks World of Warcraft has at least another ten years to go, and it's hard to disagree with that sort of player retention. Even if not, the game's left an indelible mark on its players, not to mention both the MMO landscape and the games industry at large. Here's to ten years, World of Warcraft.